HMAS Tolga was an auxiliary minesweeper and a water and stores carrier between 1940-46. Tolga was built by the Walsh Island Dockyard and Engineering Works in Newcastle NSW in 1925 for Dorman Long Pty Ltd of Sydney. She was initially named Dorlonco but was renamed Sir T Hugh Bell in 1926. In 1930 she was sold to the Adelaide Steamship Company and renamed Tolga after a small town in the Atherton Tablelands in Queensland. Tolga operated in Queensland waters as a lighter carrying sugar from small ports to larger vessels offshore. On 1 November 1940, Tolga, was requisitioned by the RAN with a monthly charter rate of £105. She was commissioned at Sydney as an auxiliary minesweeper on 30 December 1940 under the command of Lieutenant Commander John Malley, RAN and attached to the 70th Minesweeping Group. Her sister ship Terka was also requistioned by the RAN in early 1941 as an auxiliary minesweeper. Both were coal burning vessels which was a rarity in the RAN at that time. 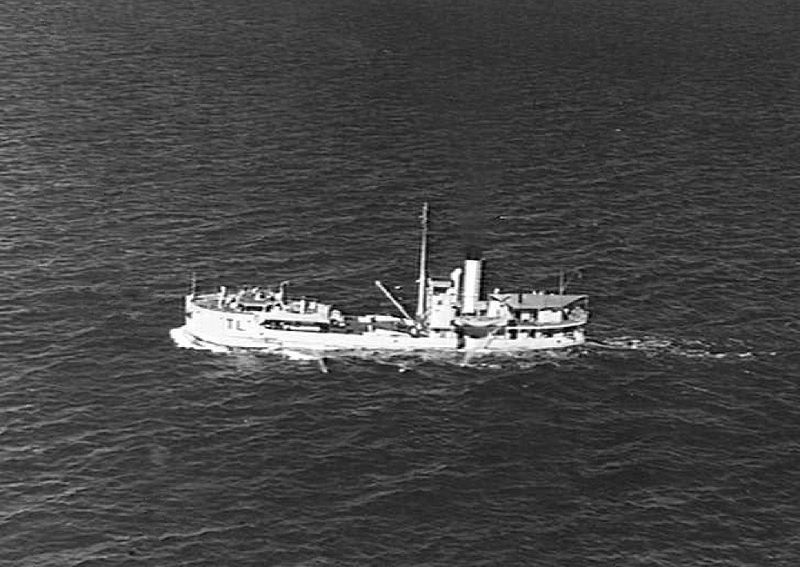 Tolga initially operated from Sydney conducting sweeps along the east coast where German raiders had laid mines in late 1940. In late April 1941 Tolga and Terka were dispatched to Darwin, via Coffs Harbour, Brisbane, Cairns and Thursday Island, arriving in Darwin in early June 1941. While enroute from Brisbane to Darwin, Tolga towed a stores lighter carrying equipment and stores for use in Darwin. She operated from Darwin ensuring that the swept channel for the port was kept clear of enemy mines. Additionally she also assisted the boom defence vessels to maintain the anti-submarine net that protected Darwin Harbour and on occasions was used to supply bulk water (up to 200 tonnes) to ships at anchor in the harbour when the main wharf was unavailable for berthing. Lieutenant John Collins, RANR (S) took command on 20 December 1941 and the ship was present in Darwin during the first Japanese air raid on 19 February 1942. During the raid Tolga helped rescue survivors from the merchant vessel British Motorist which had been struck by bombs and later sank. She also assisted with the rescue of United States Army and Navy personnel from vessels sinking in the harbour and fighting fires in the SS Barossa (which was later beached and salvaged). On 27 February 1942 Lieutenant Alfred Summerfield, RANR (S) took command of Tolga and he in turn handed over to Lieutenant Frederick Allison RANR (S) on 27 July 1942. Japanese aircraft conducted several air raids on Darwin throughout 1942 but none as devastating as the first raid in February. Tolga and Terka proved to be unsuitable as minesweepers and in late 1942 were reallocated as water and stores carriers. Tolga departed Darwin in late October, and spent two months operating between Cairns and Thursday Island as a water carrier. Lieutenant Frederick Pilcher, RANR (S) took command of Tolga at Cairns on 4 November 1942 and she returned to Darwin on 29 December 1942. Pilcher was to be Tolga’s longest serving commanding officer remaining with the ship until October 1944. On return to Darwin she operated as a water and stores carrier servicing ships in harbour due to bomb damage to the main wharf. 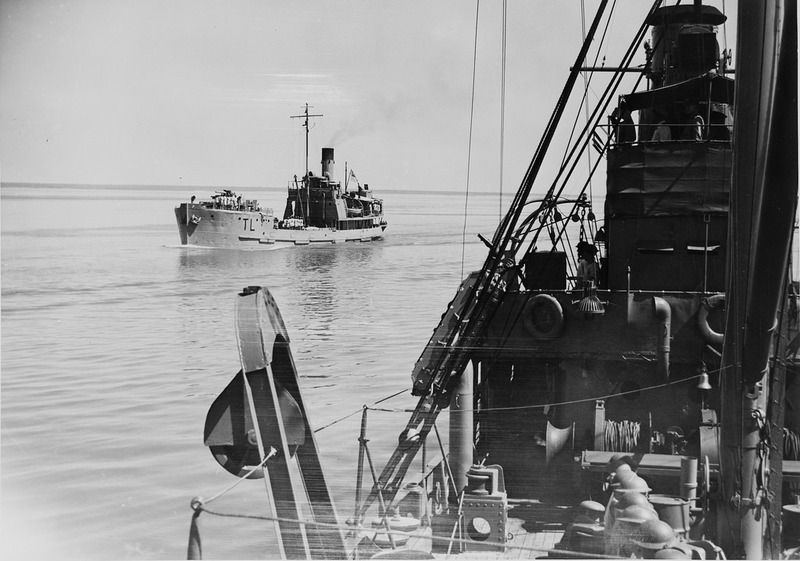 On 2 August 1943 Tolga took part in an interesting evolution, at Darwin, when she and several other smaller RAN vessels steamed past, in review order, the boom defence vessel HMAS Kookaburra which had the Governor-General of Australia, Earl Gowrie, VC, GCMG, CB, DSO and Bar, PC and Lady Gowrie embarked. Earl Gowrie (Governor-General during 1938-44) was on an inspection tour of defences in northern Australia. In mid-September 1943 Tolga departed Darwin and steamed to Thursday Island where she operated for the next three months. In December 1943 she proceeded to Townsville and operated there until April 1944. On 14 April 1944, Tolga departed Townsville and steamed to Milne Bay where she was to operate for the next five months carrying out her unsung duties as a water and stores carrier for visiting ships. 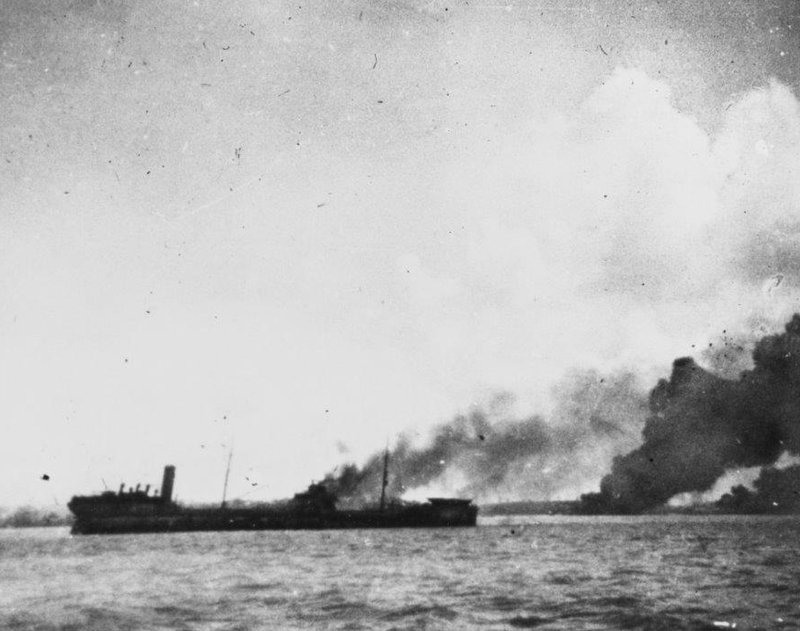 On 12 September she departed Milne Bay and proceeded westwards along the north coast of New Guinea to Madang where she was based for the remainder of her service. Lieutenant Geoffrey Parry, RANVR took command in October 1944 and handed over to Lieutenant William Thompson, RANR (S) 19 December 1944. Lieutenant Frederick Gill, RANVR took command in December 1945 and was Tolga’s last commanding officer. Tolga was decommissioned at Alexishafen (near Madang), New Guinea on 3 March 1946 as she was deemed structurally unsound for further service. Due to her poor condition she could not be returned to her owners in Australia and so was purchased outright by the RAN at a cost of £15,675. On 30 April 1946 Tolga was towed out to sea, by the frigate HMAS Condamine, set adrift, and sunk as a target.